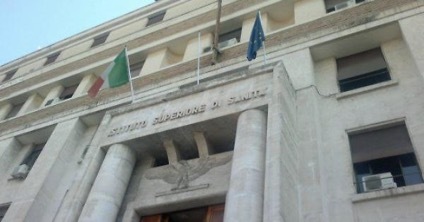 The Italian National Institute for Health (ISS) provides scientific evidence and technical support in the field of Public Health. ISS is organized in departments and national centres in order to specifically promote Public Health through scientific research, surveys, and controls in the different fields of health sciences that include infectious and non-infectious diseases, environment, food and drugs. Among the ISS centers, the National Centre for Epidemiology, Surveillance and Health Promotion, through its Unit of Communicable Diseases Epidemiology (ISS-CDEU), provides scientific evidence to support decision making in public health with regard to prevention and control of infectious diseases and other threats to health. ISS-CDEU has been involved as coordinator of international projects and European networks in the field of communicable disease (i.e. VENICE and VENICE II- Vaccine European New Integrated Collaboration Effort; Episouth and Episouth plus - Network for the control of public health threats in the Mediterranean region and South East Europe). As coordinator of the EU co-funded EpiSouth and EpiSouth Plus projects, ISS-CDEU led a network of 27 countries in the Mediterranean region. Development and implementation of training to strengthen capacities on early warning, event and indicator based surveillance. The ISS-CDEU team has gained competencies and experience on strategies and procedures aimed at monitoring Infectious Diseases in migrants, strengthened recently with several activities at national and international levels. 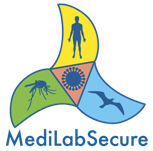 Based on the Network of countries established by EpiSouth, the project MediLabSecure (2014-2017) was started with the aim to create a framework for collaboration to improve surveillance and monitoring of emerging arbovirosis in the Mediterranean basin and Black Sea regions. The ISS-CDEU team is leading the public health activities of Medilabsecure to promote and reinforce integrated surveillance of arbovirosis with the One Health approach. The ISS-CDEU has gained good experience and acquired expertise on these aspects also at national level, particularly on the integrated surveillance of WNV. In fact, after twenty years of silence, in the summer 2008, WNV reappeared in the northeast of Italy; WNV was isolated in mosquitoes, birds, equidae and humans in the area surrounding the Po river delta. From 2010 to 2014, 110 confirmed autochthonous human cases of WNND were reported in Italy from seven out of the 20 regions. In Italy a serious effort has been done in order to strengthen the integration of human with veterinary and entomological surveillance, reaching effective results in the prevention of the disease. In addition, since 2014, some Italian regions are exploiting the convenience to use vector and animal surveillance data to trigger blood and organ donor safety measures.